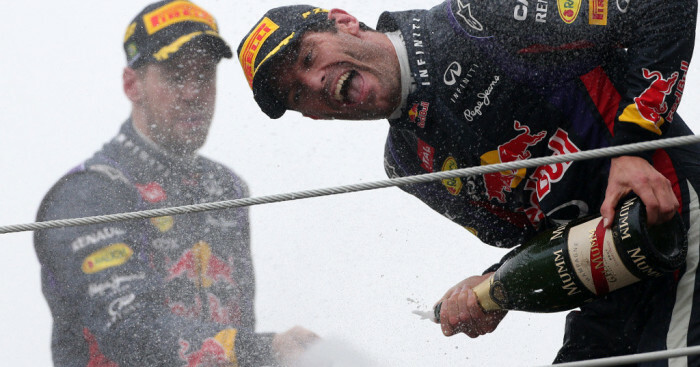 They may not have the best relationship off the track but Sebastian Vettel reckons Mark Webber is the one of the most talented drivers out there. On Sunday the Aussie bowed out of Formula One, calling an end to a career that spanned 12 years and included nine race wins and 42 top-three results. It also, however, included a very tense relationship with his team-mate Vettel. With both drivers accusing each other of ignoring team orders for their own goals, the situation reached its peak in Malaysia this season. But while the duo were not friends, Vettel insists there was always respect. “There is no point to lie at this stage and blow smoke up his [backside], we didn’t have the best relationship,” he said. “With some things turning out differently, it could have been a different story. “We have a huge respect for each other. I can say I learnt a lot from him, I learned to become a better driver due to his skills.